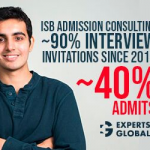 Though most of the companies introduce themselves during campus interviews through presentations, it would still be better to research about the company beforehand. A detailed job position description might help you in the campus interview preparation, as you would know exactly what the company is looking for in the candidates. Usually, most of the companies today conduct the first round of aptitude test to test the reasoning and problem solving skills of the candidates. During your campus interview preparation, go through the previous years’ aptitude test papers of the company. This will give you an idea about the types of questions asked. Practice many sample aptitude questions using a set timer as speed is the key to crack this test. While some companies have a written round of technical test followed by a technical interview, some other companies choose to opt for a direct technical interview. As a part of your campus interview preparation, do network with people from within the company to know about the company’s current projects. This will give you an insight on what topics to prepare for technical interviews. 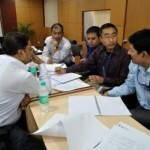 Few companies have an additional round of group discussions. Here, the test is not just about your knowledge but also about your conversational ability. The interviewer wants to gauge how well you argue in support of your point. 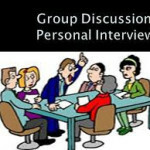 Going through a professional training course as a part of the campus interview preparation for cracking a group discussion round would be a good idea. Here, you would be professionally trained on different aspects of a group discussion like listening skills and analytical thinking. There is no use of your high grades and academic excellence if you cannot display your aptitude and intelligence effectively. You can improve your communication skills by reading and having group discussions with your friends. Conveying your thoughts effectively and getting across your point is important in the campus interviews. Prepare your answers for common questions by mouthing them during campus interview preparation. Since this is your first campus interview, you may not have any work experience. The only real-world experience that you carry would be your final year project. During the campus interview preparation, prepare yourself for any and every question related to your project. If you feel low on confidence, you can reach out to counsellors for advice. As a part of the campus interview preparation, professional advice from reputed counsellors can help you identify your weak points. Some of the counsellors even conduct mock interviews to give you the real-world experience of facing interviews.